Palestinian solidarity groups have taken to social media to step up the pressure on United Nations Secretary-General Ban Ki-moon to include Israel for the first time on a “shame list” of serious violators of children’s rights. The campaign, which culminates in the submission of an online petition to Ban’s office on 7 May, was launched after indications that Israel is exerting enormous pressure on UN officials to avoid being named. Ban’s office is due to make the list public in the coming weeks. A senior UN source, who wished to remain anonymous because of the diplomatically sensitive nature of any announcement, told Middle East Eye that Ban’s chief advisers had recommended that the Israeli army be identified as a serious violator of children’s rights. That would place it, for the first time, alongside groups like Islamic State, the Taliban and al-Qaeda-affiliated groups, pushing Israel further towards international isolation. Israel has found ever fewer supporters in the international community as it has tried to prevent Palestinian moves both to win recognition at the UN for statehood and to be accepted at international bodies such as the International Criminal Court in the Hague. Relations with the White House have recently hit an unprecedented low. 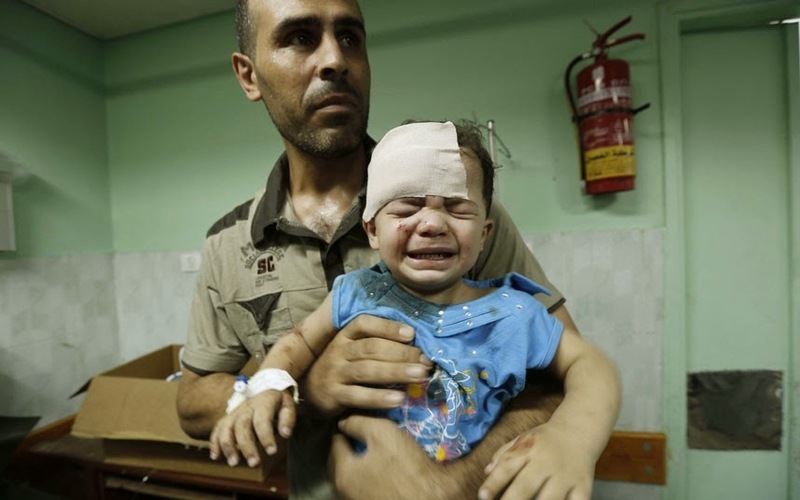 The decision, the source said, had become all but inevitable after the recent findings of a UN inquiry into Israel’s attack on Gaza last summer known as Operation Protective Edge that killed more than 500 Palestinian children and injured at least 3,300 others. The investigation concluded that the Israeli army had targeted six UN schools where civilians, including many children, were sheltering, even though it had been notified of the sites and their GPS coordinates in advance. Ban described the attacks – which killed 44 Palestinians and injured 227 more – as “a matter of the utmost gravity”. Large-scale killing and maiming of children, and attacks on schools, are among the “triggers” for inclusion on the list in a UN monitoring process of children’s right in conflicts around the world introduced a decade ago. However, there are concerns in the UN and among children’s rights experts that, despite the evidence against Israel, political pressure from Israel and the US could ensure that the Israeli army remains off the list. In a sign of Israel’s concern, its officials protested strenuously in February when local UN staff in Jerusalem were due to ratify a recommendation to UN headquarters that Israel be included. At the last minute, the meeting was cancelled. One of Ban’s officials privately complained to Ron Prosor, Israel’s ambassador to the UN, over the intimidation of agency staff in Jerusalem, according to a report in Britain’s Guardian newspaper. Despite Israel’s intervention, said the UN source, agency officials in Jerusalem and Ban’s advisers in New York had decided the evidence against Israel was compelling. If Ban had received such a recommendation, the pressures on him would be intense, said Gerard Horton, a lawyer specialising in Israel’s treatment of children. “Once things move to New York, they become highly political,” he told MEE. Activists on social media have established a new group, 4Palkids, to try to bring grassroots pressure to bear on Ban. The UN source said it would be unprecedented if Ban vetoed the advice of his team in New York dealing with children and armed conflict, headed by Leila Zerrougui. “The Secretary General has never before vetoed a recommendation for inclusion on this list and it will be hard for him to do so now and maintain the UN’s credibility in the Middle East,” said the source. A spokeswoman in Jerusalem for UNICEF, which leads the local monitoring process, referred all questions to New York, saying the matter was “confidential”. Ban’s office said the report would be published in June but would not comment on which countries were to be listed or whether Israel had lobbied the Secretary-General. Off the record, UN officials have noted that Ban will have to take account of the fact that the UN’s Human Rights Council is due to submit its report into Operation Protective Edge in the coming months. The report is expected to be harshly critical of Israel’s 50-day operation and the resulting high number of casualties of Palestinian civilians. Israel is regularly condemned by UN human rights commissions, most recently in a resolution by the Commission on the Status of Women. But Israel and the US usually dismiss such findings as partisan, given that the commissions represent national governments, including Arab and Muslim states. A listing of Israel by Ban – with the implicit backing of the Security Council, which originally set up the monitoring of children’s rights in conflict zones – will carry much more weight. Horton, a founder of Military Court Watch, an organisation monitoring Israel’s detention of Palestinian children, said western states’ current displeasure with Israel might give Ban the diplomatic room he needs to punish it. “There is a lot of anger in Europe and the US towards the Israeli government, especially after [Israeli prime minister] Benjamin Netanyahu publicly declared during the recent election campaign that he would not allow the creation of a Palestinian state,” he said. Since 2005, UN agencies have been charged with monitoring 23 conflicts, including the one between Israel and the Palestinians, for serious violations of children’s rights. Six grave violations have been identified that qualify a party to a conflict for inclusion on the list. They are: killing and maiming children, abductions, sexual attacks, attacks on schools and hospitals, the denial of humanitarian access, and the recruitment of children as soldiers. The UN Secretary General’s office publishes detailed annual reports into all the conflicts, highlighting major violations of children’s rights. However, the Israeli army has so far avoided inclusion in an annex that has come to be known as the “list of shame”. In last year’s report, 52 parties were named for the gravest violations against children in states such as Afghanistan, the Central African Republic, the Democratic Republic of Congo, Mali, Myanmar, Somalia, South Sudan, Sudan, Syria, and Yemen. Several government armed forces were included. 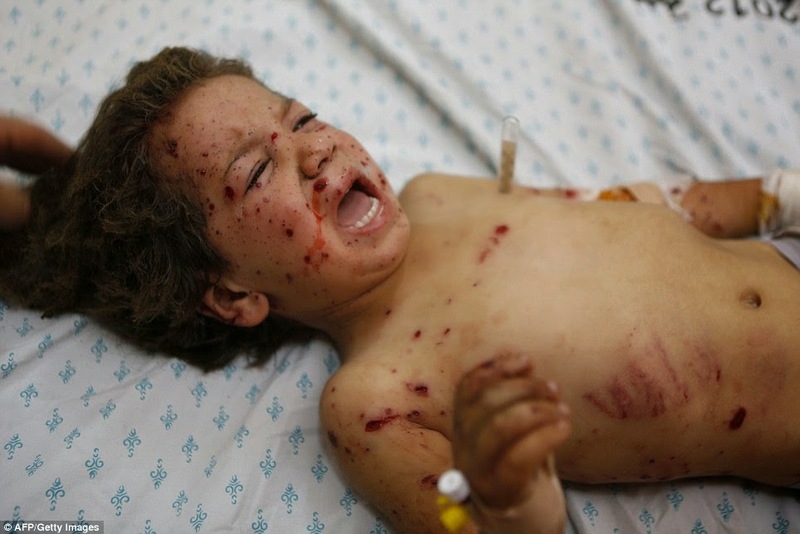 Although the Israeli army was not identified in that report as one of the most serious abusers, it was criticised for violations against Palestinian children that included: actions that led to deaths and injuries; night-time arrests; cruel and degrading treatment during interrogations; threats of sexual violence; transfers to Israeli prisons, in violation of the Geneva Conventions; attacks on schools; and the denial for patients in Gaza of required hospital treatments. Human Rights Watch, a New York-based watchdog, has noted that inclusion on the list has proved successful in curbing states’ worst abuses of children’s rights. “The ‘list of shame’ has been a remarkably effective tool in getting governments to improve their children’s rights records,” Bede Sheppard, the deputy director of the children’s rights division at HRW, noted earlier this year. Issam Yunis, director of Al-Mezan, a human rights group in Gaza, told MEE that listing Israel was vital to increasing protections for Palestinians under occupation. 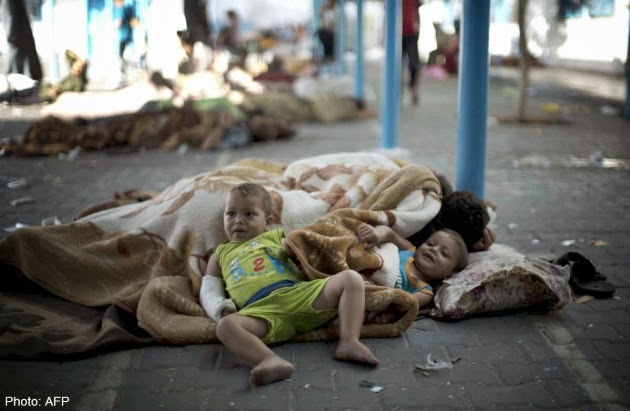 In the case of Israel and the occupied Palestinian territories, violations have been documented and monitored since 2007 by a working group led by the UN children’s agency, UNICEF. The group includes other major UN agencies, international aid organisations and Israeli and Palestinian human rights organisations. Until this year, Palestinian children’s rights experts noted, Israel had not only been excluded from the final list publicised by the UN Secretary General’s office, but had not even been discussed for inclusion. 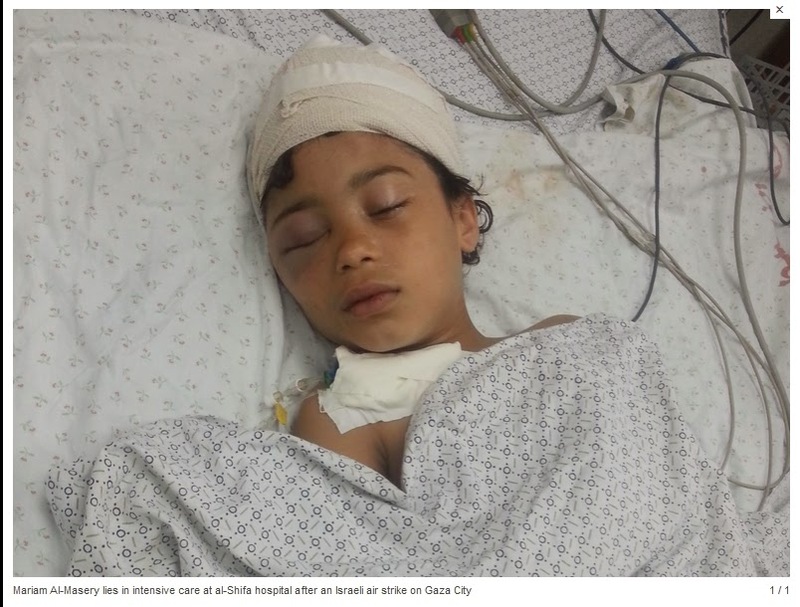 “This year, there was a breakthrough in that the local report included a proposal for the first time to consider whether Israel should be on the list,” said Ayed Abed Eqtaish, a lawyer with the Palestine branch of Defence for Children International. He said that was why Israel had sought to prevent the meeting in February. The Jerusalem-based Palestinian Human Rights Organisations Council, a coalition of 12 Palestinian groups, sent a letter to Ban in February urging him to be “impartial” and include Israel on the list. Inclusion on the list would add significantly to the mounting criticism of Israel’s conduct during last year’s Operation Protective Edge. 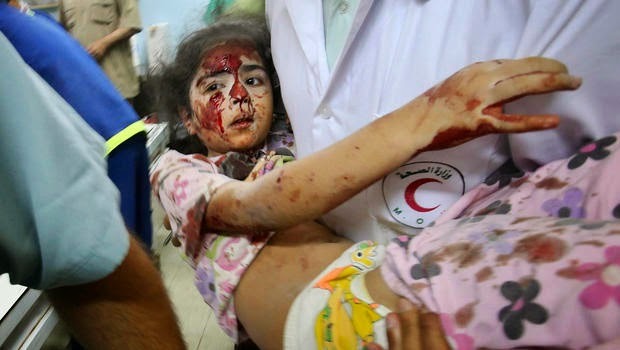 Reports from human rights groups have already accused Israel of carrying out war crimes. This week, a group of former Israeli soldiers, Breaking the Silence, published testimonies from soldiers who served in Gaza. Many said they had received similar orders from their commanders: to shoot any Palestinian, whether armed or not, in areas Israel considered combat zones. Breaking the Silence concluded that Israel was “at best indifferent about casualties among the Palestinian population”. Although criticism in the UN of Israel has focused on the killing and maiming of children in last year’s attack on Gaza, Yunis of Al-Mezan said Israel should have been listed long before for the grave violation of “denying humanitarian access”.